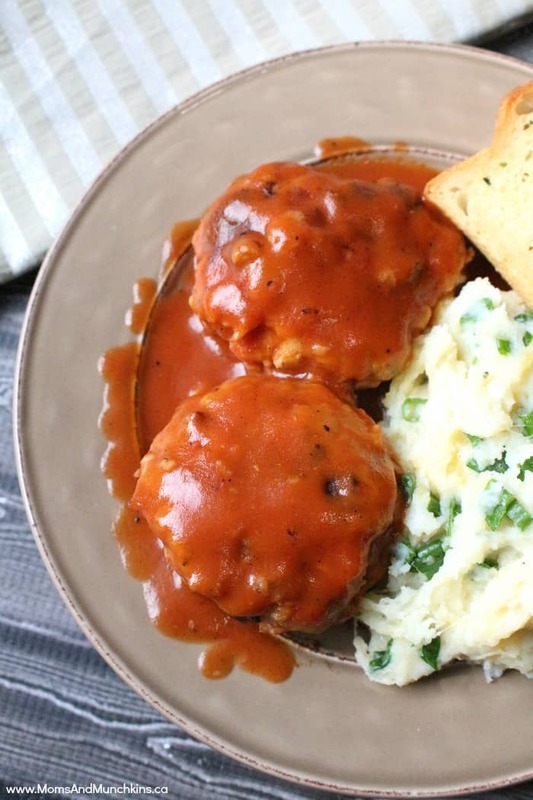 This Turkey Burgers in Sauce recipe is one of my favorite recipes. It makes a lot of burgers so it’s perfect for a potluck. 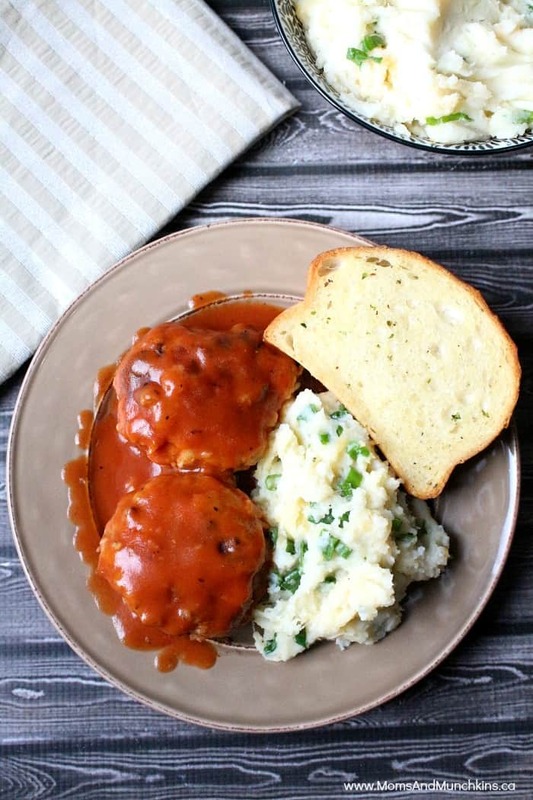 It’s great with mashed potatoes and the extra sauce from the burgers makes a delicious gravy-type topping for the potatoes. The picture featured here shows the tomato version but the mushroom soup version is delicious as well. In a large bowl, mix together ground turkey and stuffing mix. Shake in salt and pepper and work in dry minced onion. Add an egg and mix well. On a plate, sift a cup of flour. Form turkey into small patties and roll in flour. Cook burgers in a frying pan until browned on both sides. In a casserole dish, put ½ the soup and ½ cup water. Stir to mix. Place brown burgers into casserole dish. Top with the remainder of the soup. Place casserole dish, with lid on, in the oven and bake for 40 minutes. Mashed potatoes are a great side dish for this meal. You can also substitute the tomato soup for a cream of mushroom soup. For more delicious recipes, check out our special Recipes page. We have loads of desserts (yum! ), main dishes and plenty of appetizers. Since we love everything to do with parties here, most of the recipes are perfect party appetizers or potluck dishes. What is your favorite recipe to bring for a potluck party? Let us know in the comments below. To stay updated on the latest recipes and ideas for family fun, we’d love to see you join our social media communities. You can find us on Facebook, Twitter, Pinterest or our new RSS feed Bloglovin’. Thank you for sharing your recipe with us at Thursday Favorite Things Blog Hop.